Desc: Landstrom's Black Hills Gold Sterling Silver cross necklace. 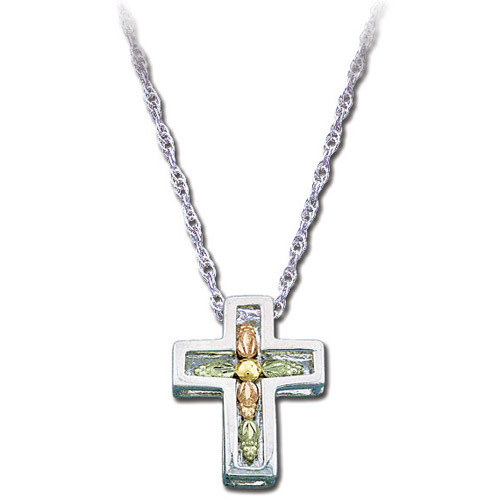 The body of the cross is Sterling Silver and rose and green gold leaves are mounted along the center of the cross pendant. The chain is Sterling Silver.